Interview with Laura Robinson, the investigative journalist who reported in the Georgia Straight explosive allegations that former Vancouver Olympics CEO and Vancouver Whitecaps executive director John Furlong abused Native children in a Burns Lake residential school and omitted his time there in his biography. He denies the allegations and accuses her of a “vendetta.” We find out how she broke the story, and how she responds to his counter-accusations against her. 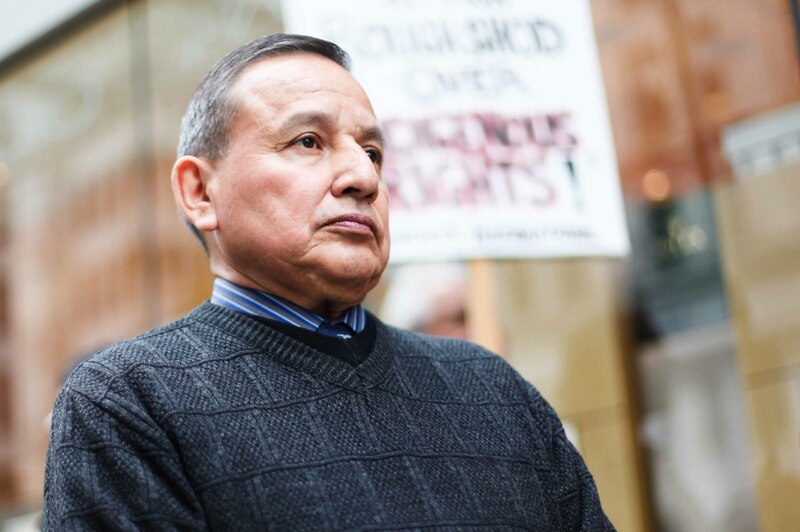 Interview with Grand Chief Stewart Phillip, president of the Union of BC Indian Chiefs, on the Furlong allegations. Latin America report with Alfonso Osorio on Honduras post-coup crime wave, and other political news across the continent. Music: The Zolas (“The Great Collapse”), Hell’n’back (“All Nations”), Nitin Sawhney (“Days of Fire”), Compassion Gorilla (“Solid as Stone”).